What a setting for the HEALING SUMMIT 2017: 18 speakers and 115 participants from 23 countries united by one idea: to build a global healing community and to bring holistic approaches not only into our personal but also into our corporate worlds. Isn’t this idea too brave, too out of the business box, almost too naive? Many friends of mine, ambitious and highly successful in their careers as scientists, bankers, heads of human resources and entrepreneurs slightly amused lifted their eyebrows when I explained this to them. Haven’t we all been told for decades that being good and doing good is merely a nice add-on to our careers, but by no means the catalyst of our economic successes? 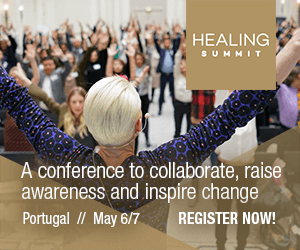 If only these friends had joined me at the HEALING SUMMIT 2017, held on the 6th and 7th of March this year in the opulent ballroom of Berlin’s Hotel De Rome. Not only because of the profound speeches given by highly acclaimed speakers. Such as Dr. Marjorie Woollacott, emerita professor of neuroscience at the University of Oregon, whose insight into the way meditation not only changes the human brain individually, but also connects us with all other human beings, would have clearly convinced the scientists. We learned about the need of meaningful communication. The need for meaningful connections and communication was discussed and highlighted by Catherine Parish, founder and president of NextLevel Leadership Inc. and Claudia Roth, Founder & Managing Director Soul Luxury. My human resource manager friend would have been impressed. My solely sales oriented entrepreneur friends would have benefitted greatly from listen to the talks given by Asa Siegel, founder of STAMBA Superfoods or Rupert Schmid, chairman of Biologique Recherche, as their successful companies are firmly grounded in a social responsibility. And my highly stressed banker friend from London may have felt the wish to change careers after listening to Gina Preziosa, sales and marketing manager of Shankara skin care. This amazing company not only donates 100 percent of its net profits to global humanitarian work, and blesses every product before it leaves the factory, but also provides daily morning meditation sessions for the entire staff – imagine that, my friend! Sharing knowledge and supporting each other instead of being competitors. But most of all I would have wanted my skeptical friends to participate in the networking breaks and workshops. Here they would have met people who actually don’t spend their time hugging trees and chanting mantras. They would have met ambitious, pragmatic business people from sectors as diverse as the hotel industry, over NGO’s to medical doctors and scientists. Successful people who would rather share their knowledge than keeping it to themselves. Who support and encourage one another rather than label others simply as competitors. The networking breaks saw topics discussed with great enthusiasm: How can I communicate my charity work – and what effect will it have on my customers? Where can I find support to make my NGO more flourishing? What stops me from being more successful, what are the boundaries in my mind that I have to overcome? 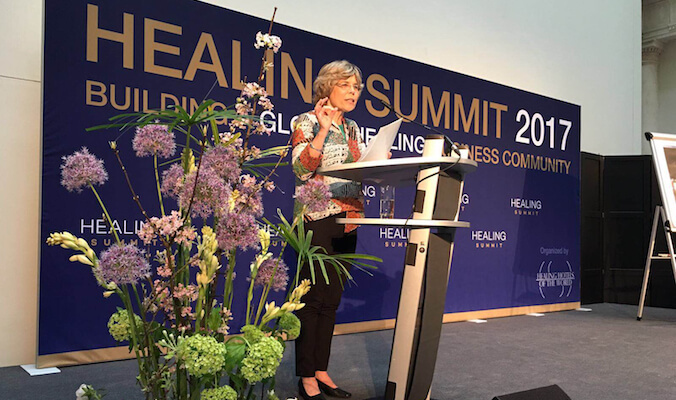 All of these diverse characters demonstrated the message of the HEALING SUMMIT 2017: do good and your own world will be better, personally and in business. It really is that simple.